The 1972 917/10 was similar in its design to the 908/03, but, of course, had the 12-cylinder engine instead of the 3-litre flat-8. The 917/10-72 was first seen at the Interserie Nürburgring race on April 3. It was the chassis 004 car of Leo Kinnunen and Keimola Racing Team AAW. Kinnunen scored 4th in the first race, but would win the championship by the end of the season. The second Interserie race was at Monza on May 1st and that race was won by chassis 917/10-002 and Willy Kauhsen (at the April 3 race his car still had the 1971 bodywork). With normally aspirated engines only these two 917/10 with the 1972 bodywork were entered in the 1972 Interserie. In addition two were entered in Can-Am, chassis 006 and 007. 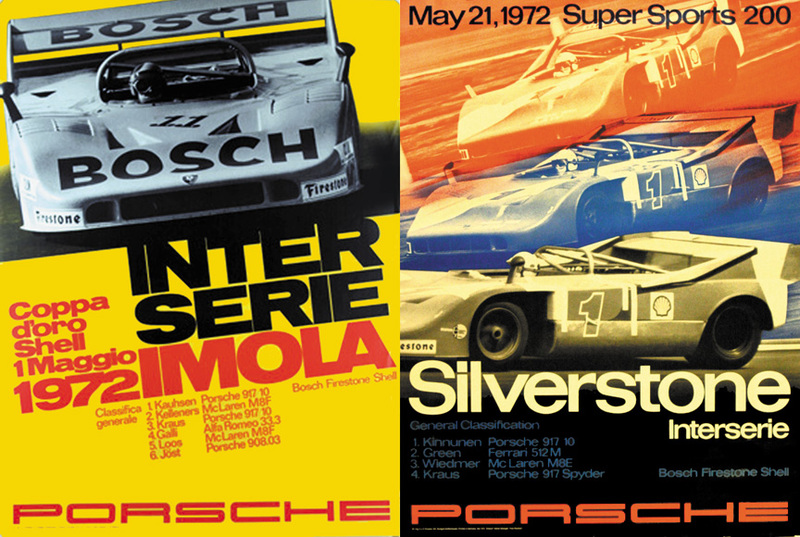 During the 1972 season, the 917/10 Turbo was introduced. In addition, all previously normally aspirated 917/10 (chassis 002, 004, 006, 007) were equipped with turbo engines. The 917/10 Turbo sported the new showel-like front spoiler and the huge rear spoiler. The non-original Turbos could be seen in different levels of conversion, either with only the engine, the engine and the Turbo rear spoiler or as full 917/10 Turbo conversions.